After visiting Lancaster Estate and Medlock Ames we were just about dead tired, quickly hopping back into the security of the car and its air conditioned heaven. Healdsburg was a good hour away from the city of Sonoma and we were expecting to arrive in time for the Sonoma Tuesday Night Farmer’s Market. After checking into the nearby hotel, we took a brief stroll to the park in front of city hall where the farmer’s market was located. The entire block and surrounding neighborhood were bustling with people enjoying the sun and mingling around the tented shops. Stalls of produce from nearby farms lined the walkway around the city hall building carrying a variety of seasonal fruits and vegetables. The colors were spectacular and we were enjoying the beautiful day so much that we had forgotten to take photos of the area. Having drank most of the day and filling up on wine, we had forgotten to eat very much for lunch and were famished. At 6:30pm and without a reservation at any restaurant, we should’ve known better than to try walking into the restaurants that enclosed Sonoma Square. We decided to try Mamma Tanino’s – a place a little out of the way that we found on Yelp, a homely-looking, literal hole-in-the-wall in the corner of a strip mall. The patrons seemed to be an older, more local crowd. The interior was a warm, cozy space with an obnoxious yellow glow that enveloped every nook and cranny. This glow, while warm, took a terrible toll on the quality of our photos, but please bear with us. Alice found out an interesting piece of information about Chef Gaetano that we didn’t want to speculate about its accuracy: he was accepted into culinary school at the age of 13 and graduated at 15. We managed to verify this information with his wife Kimberly who runs the front of the house. 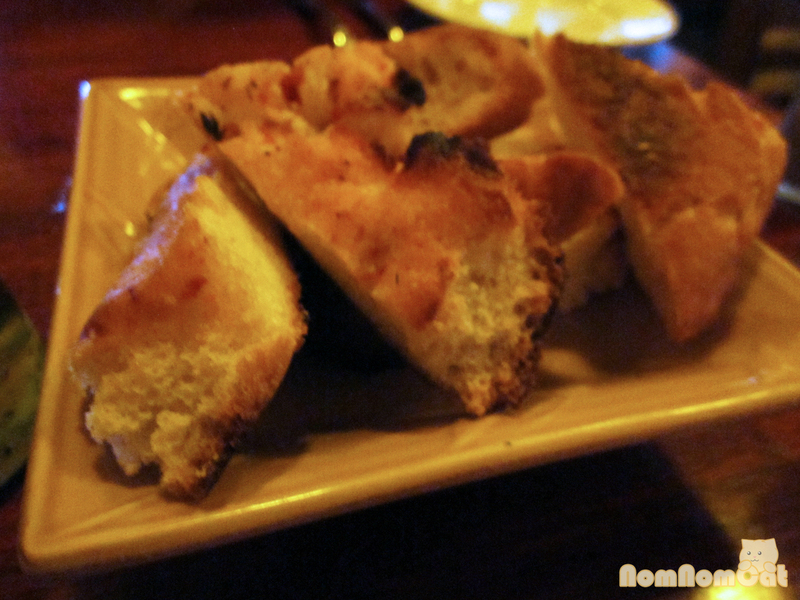 The table bread was a simple fresh-baked focaccia that was extra toasted and a little burnt on its extremities. We didn’t mind too much, and I myself am a fan of slightly charred bread. Alice found a piece that tasted like pizza crust, in a good way. 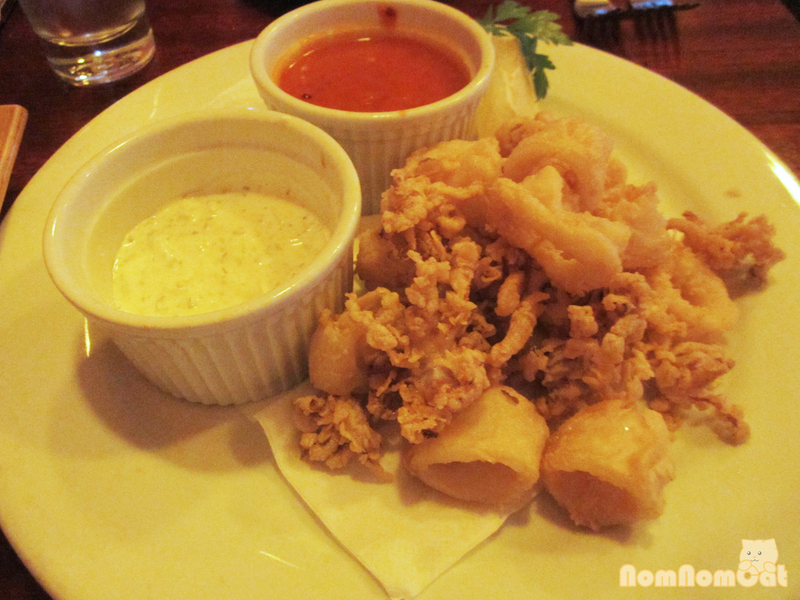 Fried calamari was very crispy but the batter was unevenly coated and didn’t adhere well to the calamari. The homemade pomodoro sauce had a little kick that kicked me in the…taste bud. The creamy tartar sauce with capers wasn’t all that special but I’m glad we were given the choice of two different dipping sauces. 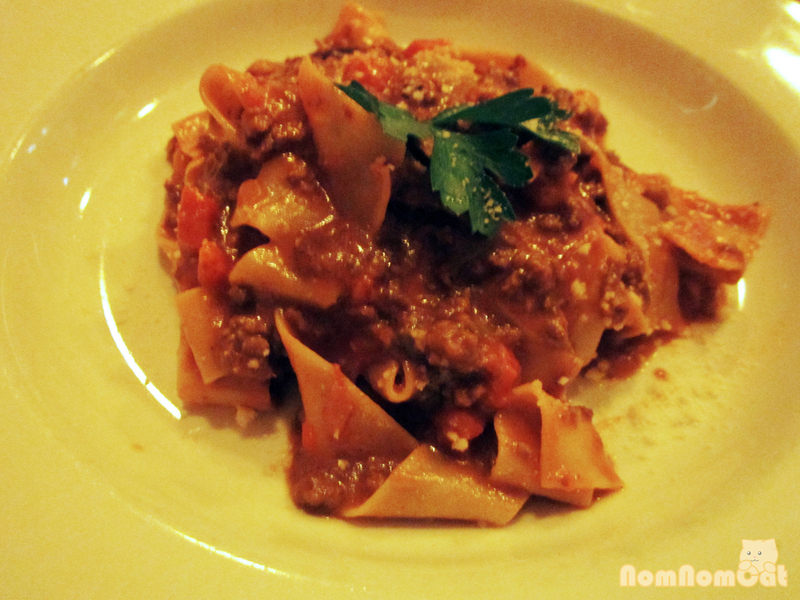 Alice had the homemade, hand-cut pappardelle accompanied by a ragu-style sauce with beef, beef stock, carrots, and mushrooms. Just a little al dente to give it a more firm texture, making it a hearty and winning combination. 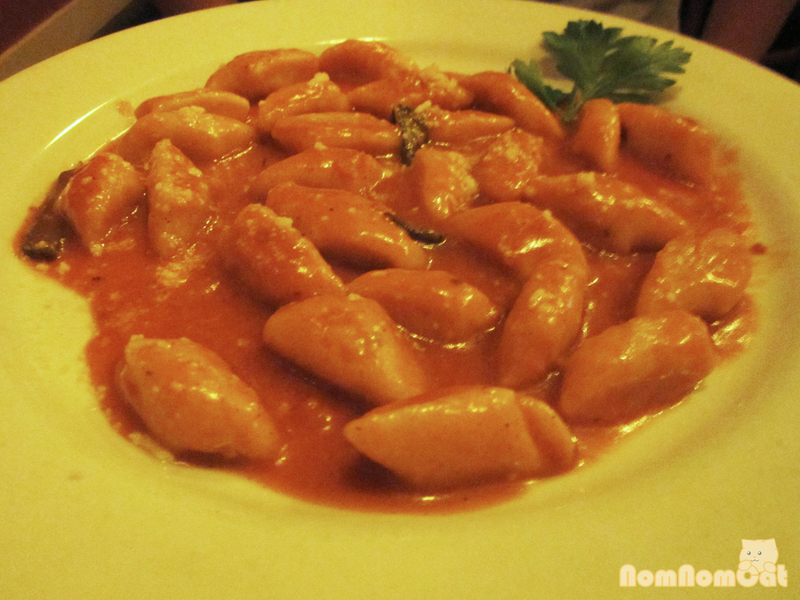 I ordered another one of their homemade dishes – hand-cut mini gnocchi with a creamy tomato sauce. Texture was more like a cloud than a pillow, extra light and fluffy. I was able to polish off the entire dish and was left wanting more but that’s not to say that the portion was too small – it was just that good. 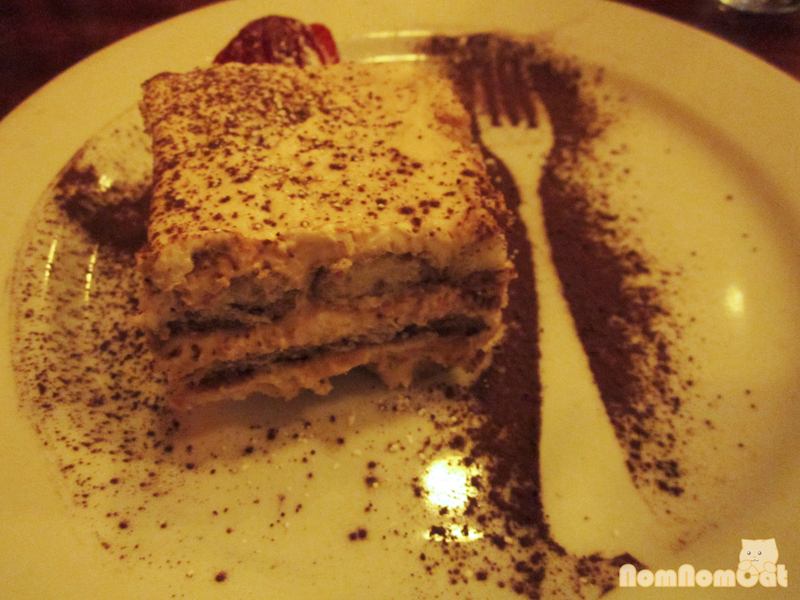 I have to admit that this was definitely not that great of a tiramisu. There was a little too much marscapone and it was made using both rum and kahlua. When it came down to it, the tiramisu had a strange sour taste to it, perhaps from the kahlua or perhaps from the marscapone, but we couldn’t tell. Either way, the tartness tasted a bit awkward. All in all, Mamma Tanino’s was a great find. It’s unfortunate that their location in the forlorn strip mall seems to have a negative impact on their business. People of Sonoma, swing by and give them a try! The pasta dishes are awesome and the service, courtesy of Kimberly, is very friendly.